Once again, another Laneway has passed, propelling into the new year with a resounding bang. St. Jerome’s Laneway Festival has always been a kickstarter for the most eclectic and diverse acts of the music world, this year ranging from the folk melodies of Angus and Julia Stone to the sublime, bass-heavy performance of starlet FKA twigs. 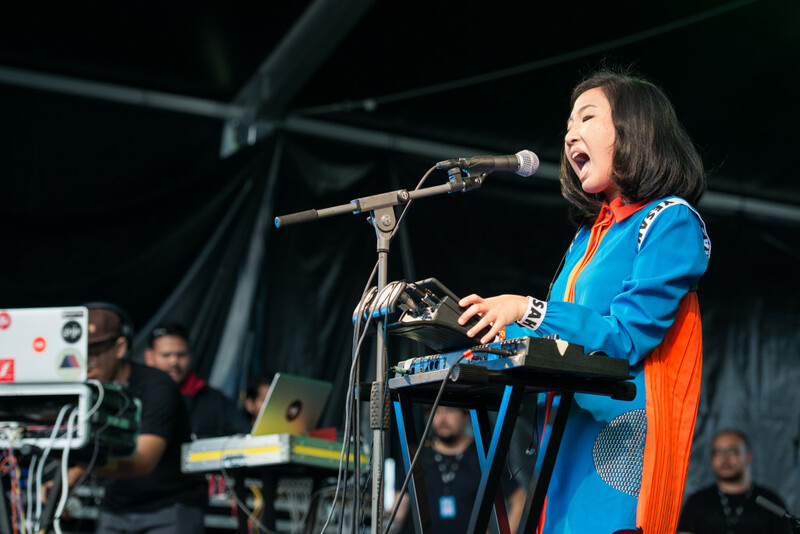 This year’s edition included a stellar selection of four BBC sound of 2014 artists, a recent triple-J winner, and even a grammy nominee, showing how far Laneway festival has come from its humble beginnings as a small show at Fort Canning Park. Laneway Festival pushed off with the searing heat mercilessly beating down on Gardens by the Bay. UK band Eagulls was there to welcome festival-goers at the Bay Stage, who were already steadily streaming into the grounds by 1.45pm. As usual, the organizers took the weather into account, and provided revelers with much needed water and ponchos. Australian psychedelic rockers Pond provided the perfect introduction to the festival, as they entertained with their brand of spiky guitar verses and searing choruses. The ever-affable Mac Demarco took to the stage a while later, entertaining with hits such as “Viceroy” and “Salad Days”. 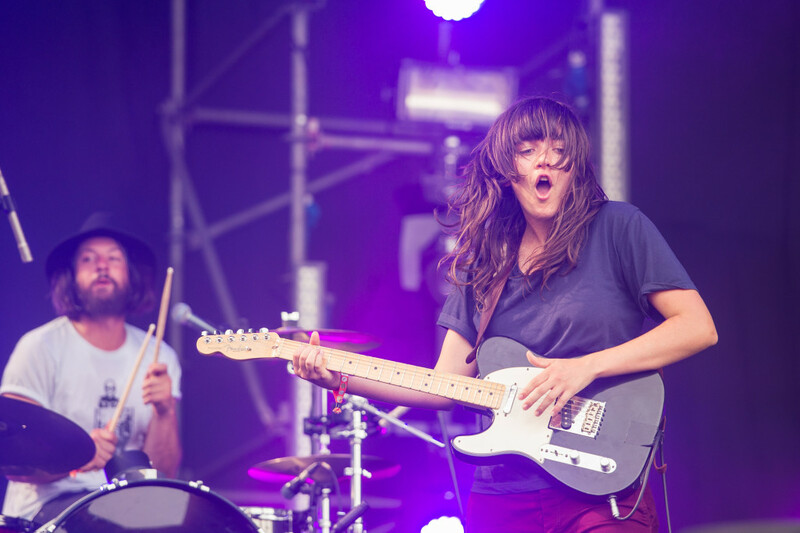 Grunge princess Courtney Barnett was a fury, deceiving her neat, kempt appearance. The left-handed wing woman of terror was an unbridled banshee, wailing while delivering chunky power chords, proving that she verily might be the next Kurt Cobain. Over at the Cloud stage, a stage secluded from the other two main stages, local fledglings .GIF steadily held their own, with musicians Weish and Din churning out experimental beats and bass grooves, supported by special friends from The Psalms and sub:shaman. 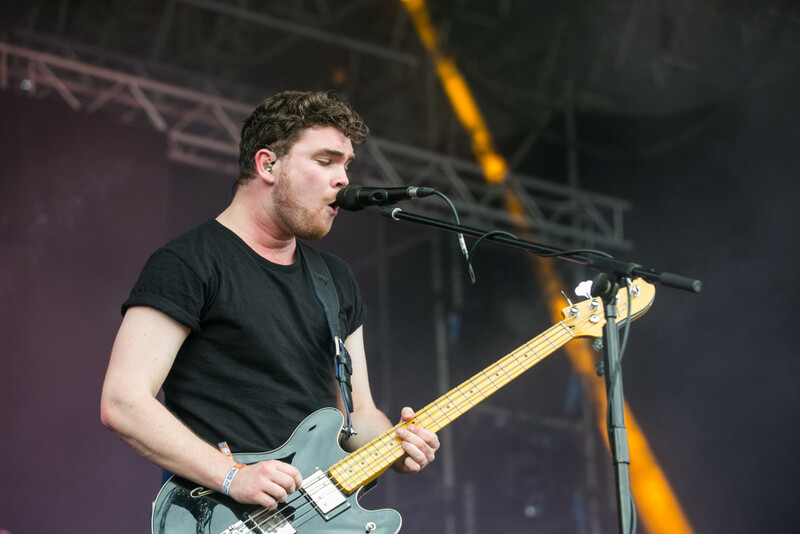 Many then made their way to arguably the most explosive point of the day, where British two-piece Royal Blood was performing. The bass-and-drums duo was a Tour de force, maintaining their composure while channeling out power- charged blues. 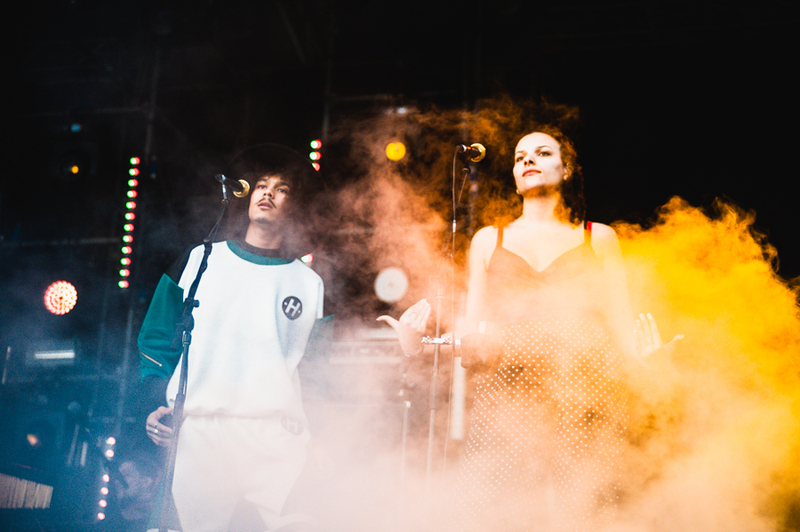 Neo-psychedelic collective Jungle was a game-changer, with the BBC sound of 2014 nominees taking the festival down a notch with their infectious grooves and 1980’s vibe. We could have sworn that by the end of the set, each one of us were sprouting giant Afros from our ears. Night was fast approaching, and American synth-pop band Future Islands was there to welcome it. 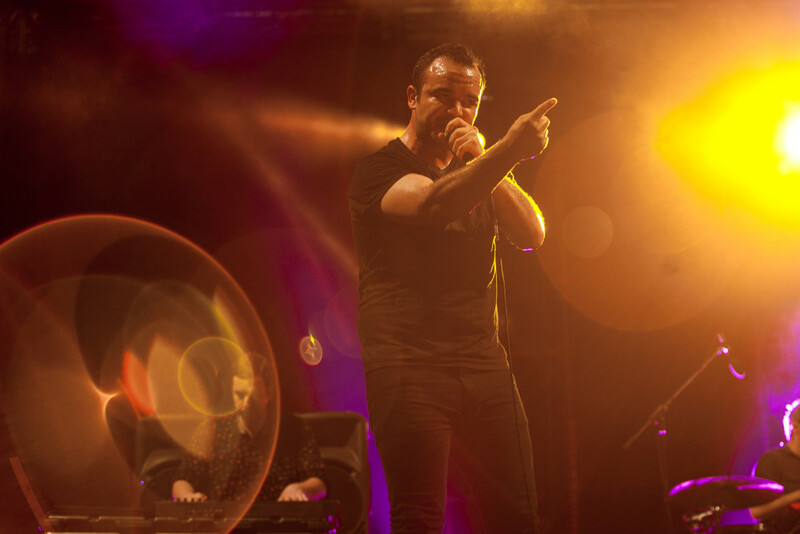 Future Islands once again proved why they were so well-received, with frontman Sam Herring displaying his emotions on his sleeve, invoking a new era of garbled-vocalists such as Wu Lyf and Deafheaven. The final four acts were a clear show of female power, with four powerful female figures rounding up the festival. 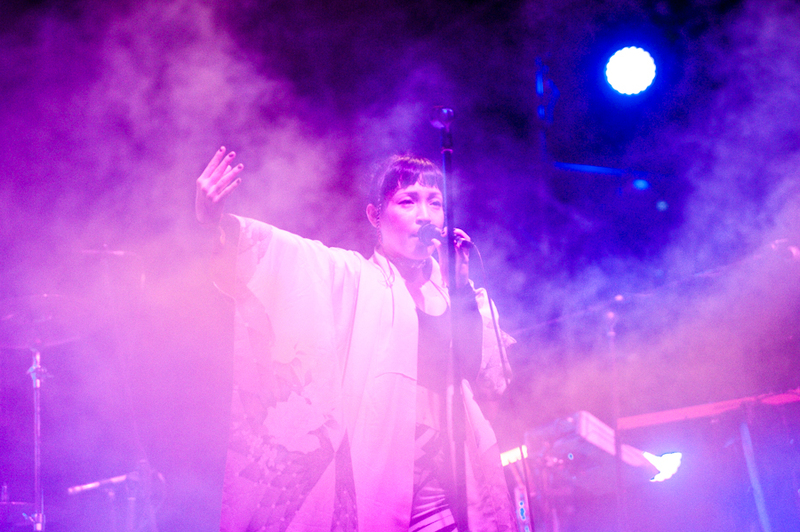 Japanese- fronted band Little Dragon provided intense futuristic sounds, with their eclectic sounds and preppy synth tracks leaving everyone’s heads bobbing. 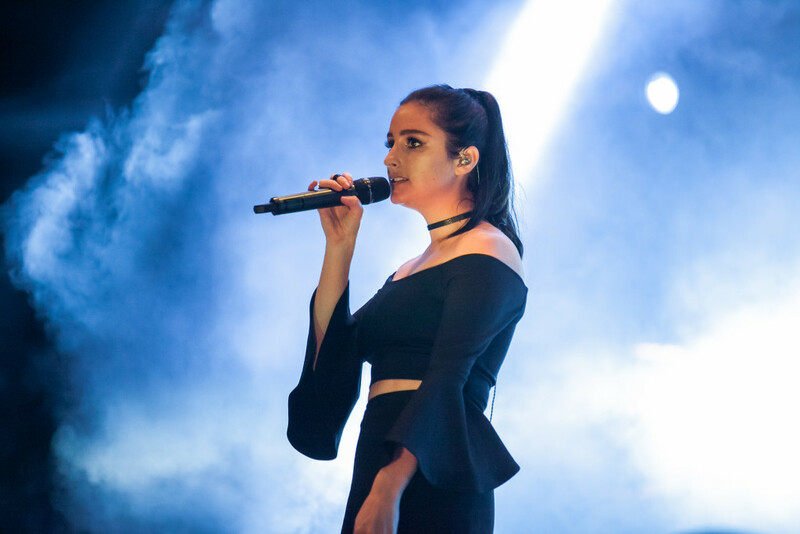 “Goddess” singer Banks made a return to our eastern shores, with the sultry indie starlet heating up the festival grounds. The American singer gave fellow counterpart Lana Del Rey a run for her money, entertaining with her R&B sensibilities and coy seductivity. FKA twigs proved to be the surprise of the night, with the British singer mesmerizing with a subdued but enthralling performance. Amid the vocal manipulation and titillating beats, twigs proved why she was among one of the most progressive faces of music and fashion today. Headliner St. Vincent was not one to fall short, and gave a stellar performance which was packed with searing guitar solos and spiky verses. Clad in a black leather cheongsam and hair in a neat crop, the American experimentalist took the ball home with her perfectly chosen setlist of ten songs. Despite calls for an encore, St.Vincent did not reappear with her band. By the end of the set, the festival grounds were thrown in a whirlwind of emotions, one that was exhilarating, sweaty, and extremely satisfying. 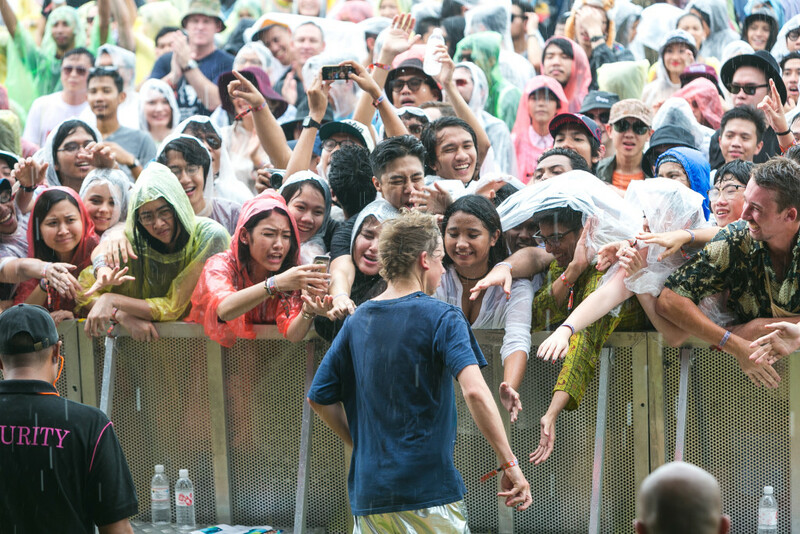 St. Jerome’s Laneway Festival proved once again why it was a kingpin in the festival circuit in Singapore having entirely sold out their wingspan of 13, 000 tickets. It was definitely no easy feat. Hats off to you Laneway, and good day!